Iyengar Milagu kuzhambu is a traditional healthy kuzhambu made with Pepper as main Ingredient. This Milagu kuzhambu is made with slight variation of preparing Instant Milagu kuzhambu powder in advance. I got this recipe from my Mom, she prepares Milagu kuzhambu powder well in advance and stores in Airtight container. When we ask for Milagu kuzhambu she prepares easily in minutes. 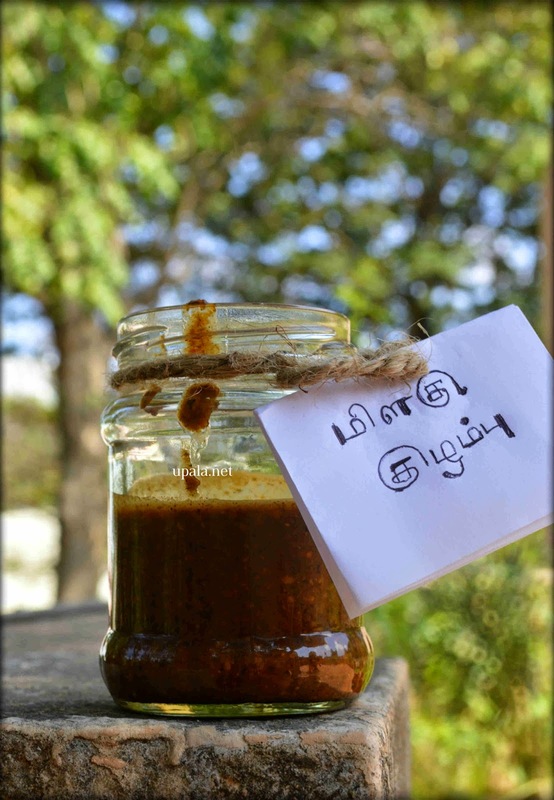 Highlight about this kuzhambu is she adds many healthy ingredients like Sundakkai, Vempampoo, Vendayam other than Pepper but never got the bitter taste in kuzhambu. 1) Heat few drops of oil and roast Asafoetida. Next add all the ingredients and dry roast till nice aroma. Transfer the ingredients to a plate to cool down. 2) Grind the roasted ingrediants to coarse mixture. Leave it to cool for few minutes and transfer to an airtight container. This powder comes handy to prepare the kuzhmbu in a jiffy. Also it can be stored for months. 2) Heat 2 tsp Gingelly oil and add the Milagu kuzhambu powder and fry. 3) Add Jaggery, Salt, Tamarind juice and mix well. 4) Boil this kuzhambu till frothy and switch off the flame.